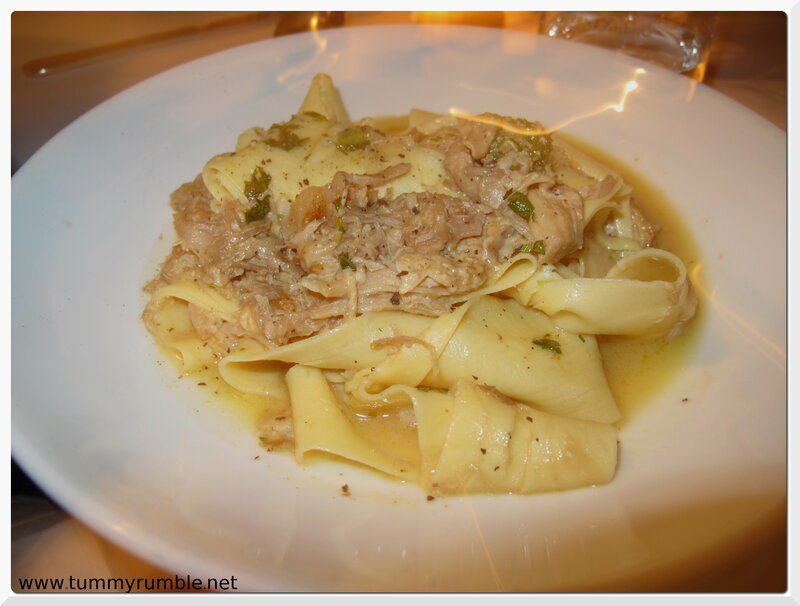 A Tavola in Darlinghurst is one place I’ve been meaning to get to for a while. 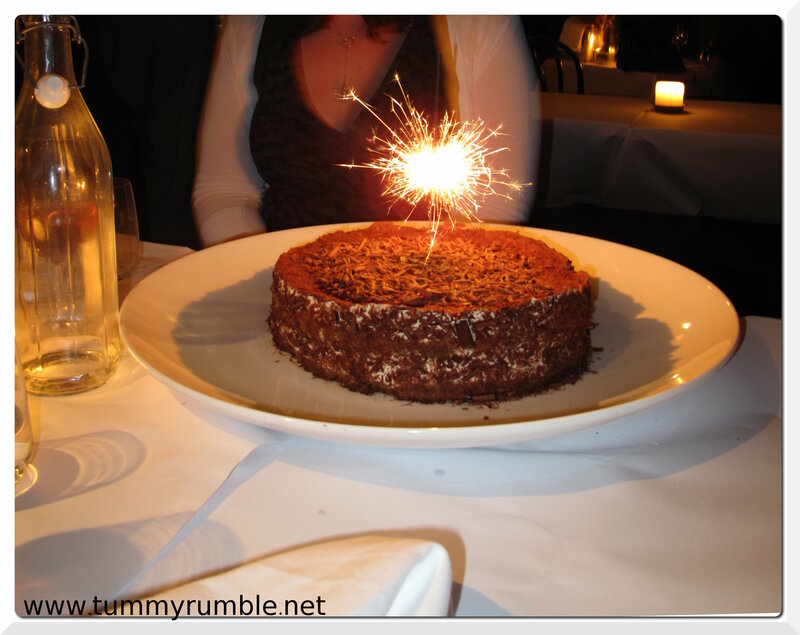 So when my friend’s husband floated it as a potential venue for a surprise birthday dinner, I was first to support it! Well known for their handmade and very fresh pasta, and the large marble dining table that seats around 25, A Tavola has been bubbling away quietly like their fall apart braised guanciale. For those familiar with the area, you may know that Chef Eugenio Maiale in conjunction with Nick Palumbo of neighbouring Gelato Messina, took over Providore Pelagio, turned it into Gastronomia Pelagio and are now turning it into bar. Dinner for 9 or 10 is a big ask for a small restaurant on a busy Friday night, but this place had no problem fitting us in. 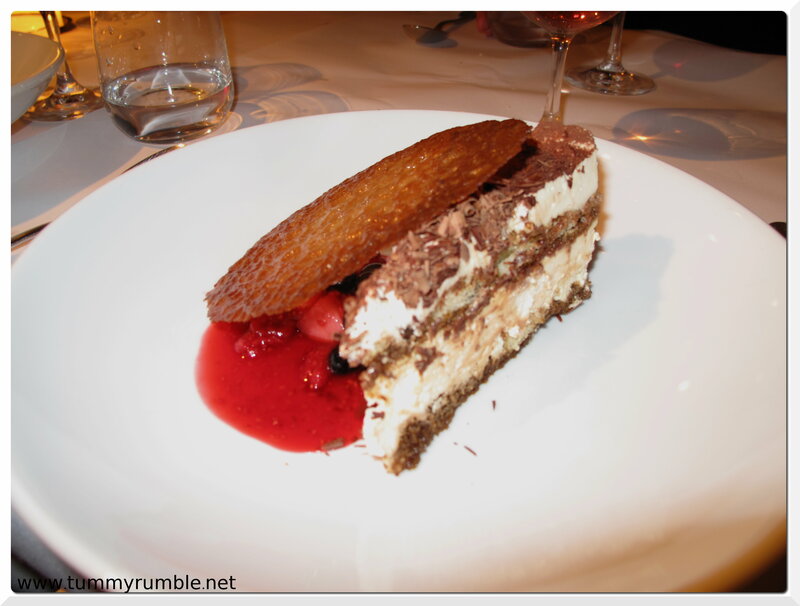 We had been given the option of a set menu for about $80 per head, but we were better off ordering a la carte, including wine, salads and dessert! We were seated at a large table in the back courtyard, a space made intimate with gorgeous lighting. 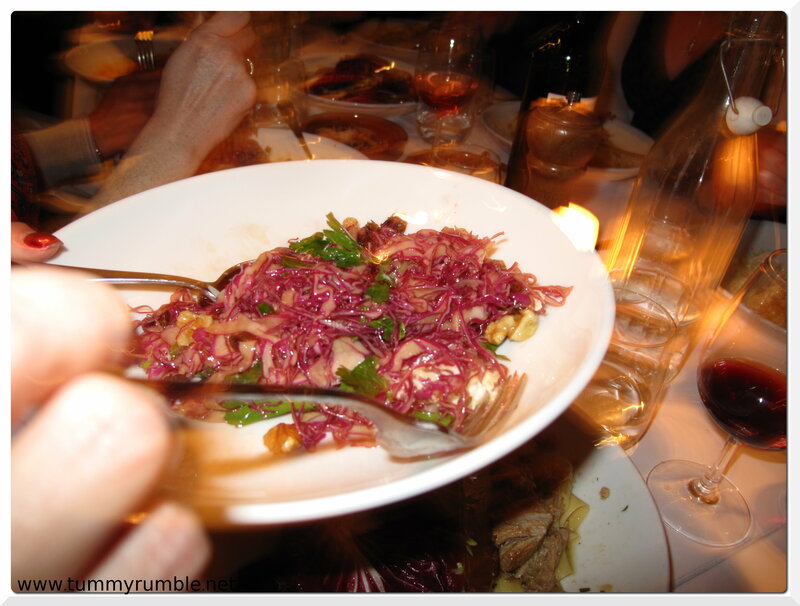 I have to say, most at the table much preferred the shredded cabbage salad to the bitter treviso, though it had it’s place in cutting the richness of some of the dishes. Most of our group opted for the pasta dishes. I didn’t catch all of them, and I may make some mistakes translating the menu, but here it goes. 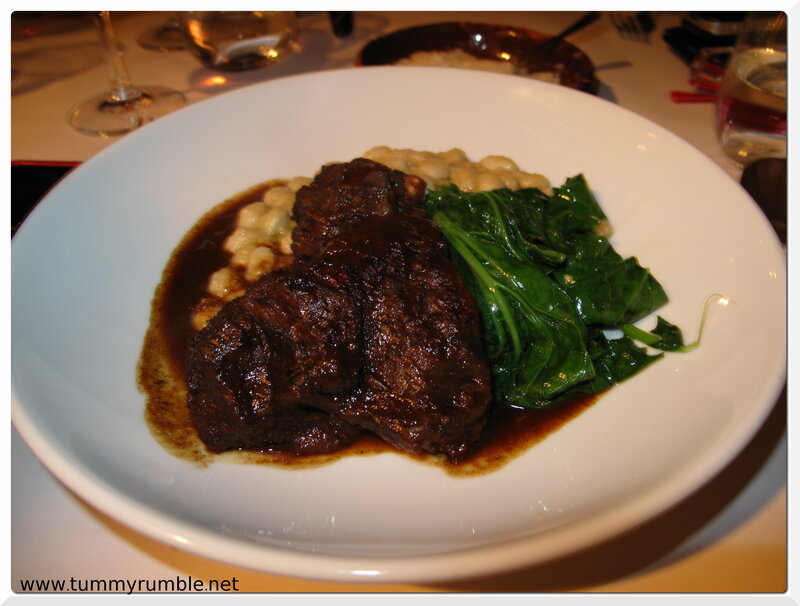 This braised wagyu cheek served on mashed borlotti was perfect hearty autumn/winter fare: hearty, rich, warming and so decidedly moreish, not to mention ENORMOUS! I had to give the rest to one of the boys to finish off…definitley one to return for! Such a fun night with good friends, great food, good wine and terrific service. I am so looking forward to going back…. 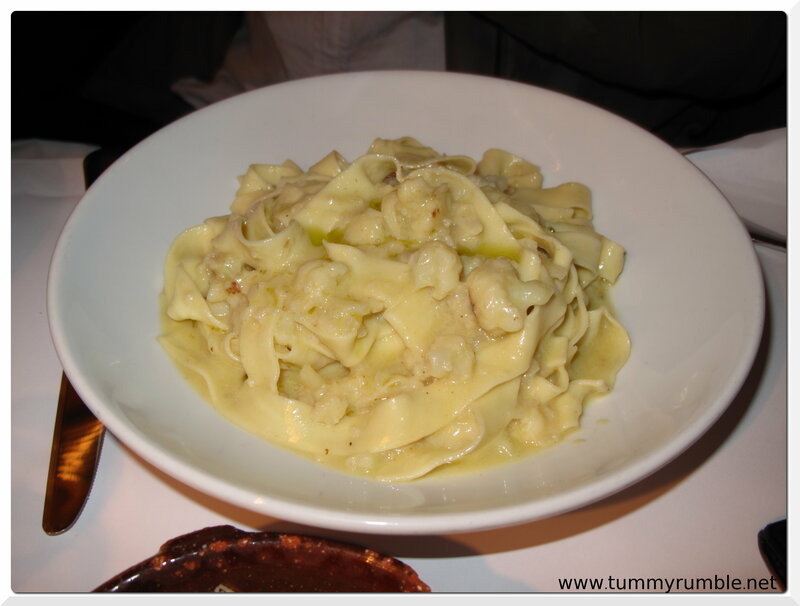 I have been wanting to visit A Tavola for ages, and now I really want to go, like NOW! 🙂 Looks great, love what they did with the cake. How lovely. And I am wholeheartedly pro fresh pasta, especially if someone else has done the rolling out! 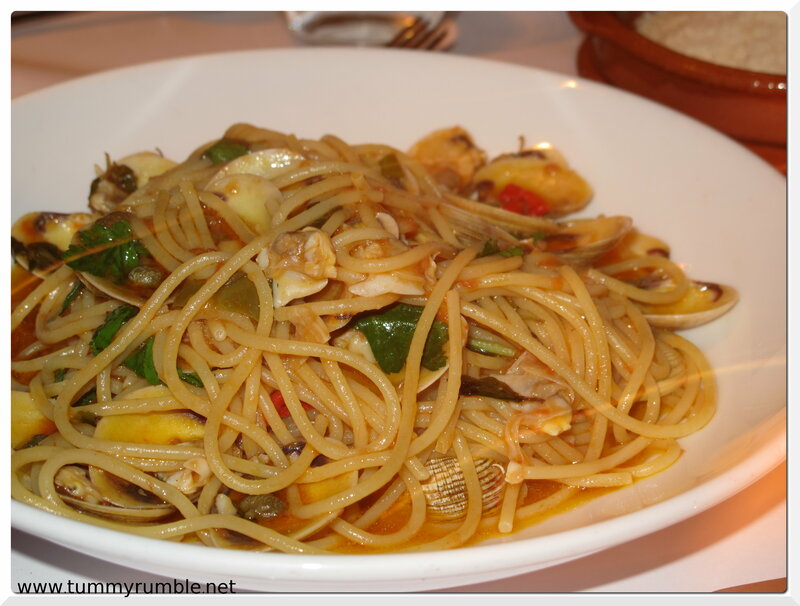 The spaghetti alle vongole are fantastic – shame you missed out. And I must say, I LOVE radiccio. Bitter is good. Oh, and just in case you did want those translations, that should be tagiatelle con cavolfiore; and guanciale di manzo (beef). 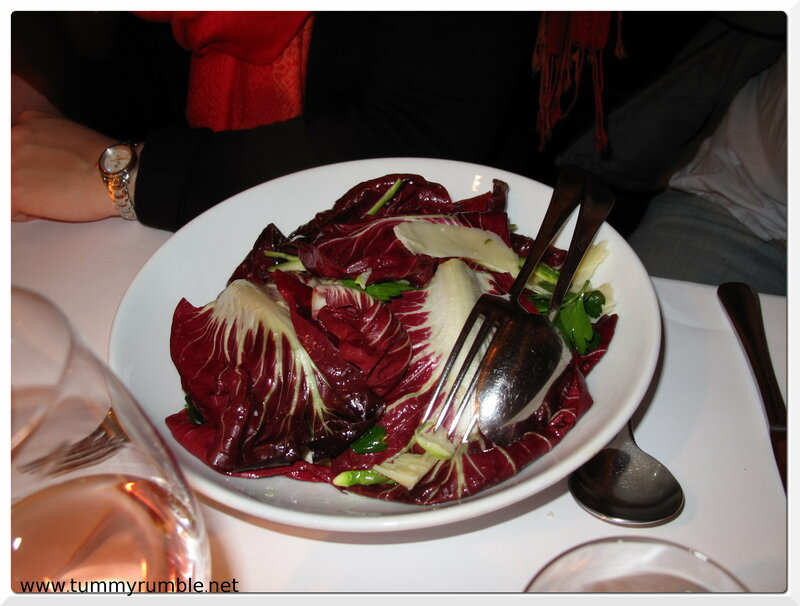 damn, I did mean radicchio – trust me to put a typo in a comment about translations! @ Dennisk14 thank you! Thank You! for the translations! 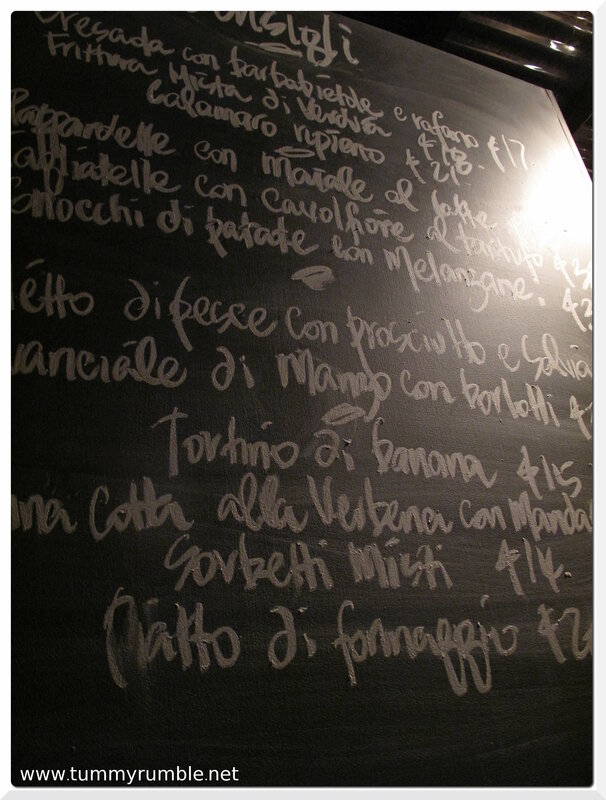 Idiosyncratic handwriting and Italian makes it very hard to translate!